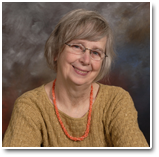 "I absolutely loved reading another great creation by Author Mary Lee. She has truly done it again for the children and this book was so easy to read. I loved all the illustrations. Kudos Mary and I look forward in reading many other children books you create. Keep up the excellent work!" "For those of us without a military background, this book is a good introduction to military life for mothers and their children. Told from the point of view of Susie, an eight year old with a mother in the Air Force, it offers a fun look at the military. Mary Lee also provides an interesting look at everyday life in the military. The artwork included is a good fit to the story; a bonus is the audio book download. I highly recommend this book to anyone with children." 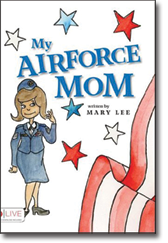 "My Air Force Mom by Mary Lee is a wonderful tool to teach children about military parents, especially moms. Mary explains the uniforms and customs of those on base, and gives a glimpse into a life that many children will never experience. She teaches pride in our military and respect for those who serve our country. It's an entertaining and educational book that children will enjoy."